Photographs: 50 photographs available, of which 8 are featured on this page. SCROLL DOWN FOR PHOTOGRAPHS. 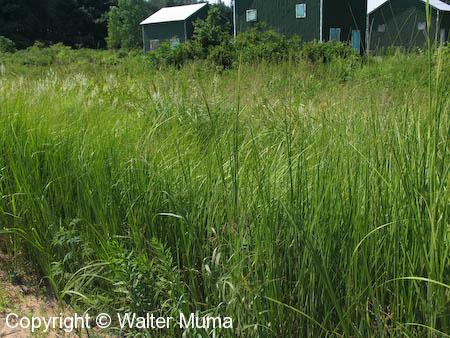 A nice patch of Tall Cord Grass being grown commercially for the naturalization business. 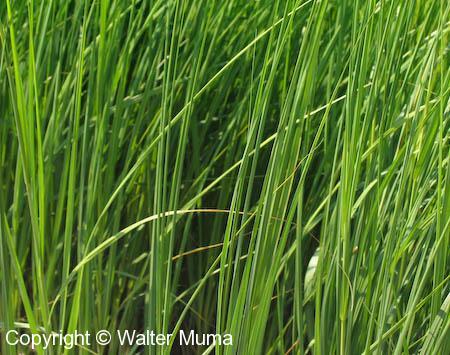 Here's why it is called Tall Cord Grass - this is the "cord" part. And this is the "tall" part! This plant tops out 'way over my head. 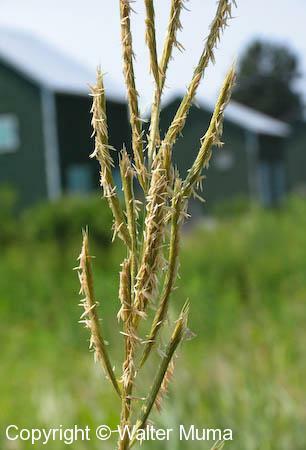 Tall Cord Grass in flower. 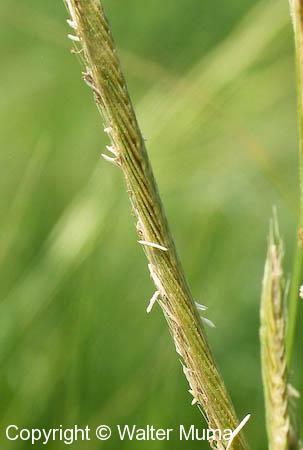 Close view of Tall Cord Grass stems and leaves. As usual with photographs of grasses, it's very hard to isolate one plant from the background, as they usually grow in clumps or in among other plants.